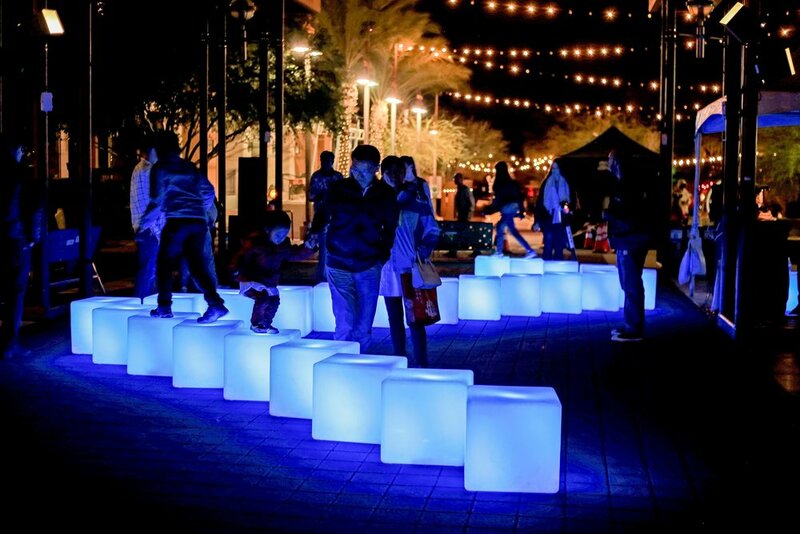 SOUND SCULPTURE is an interactive sound and light instrument. 25 location-aware blocks report their coordinates to the controlling computer, which in turn triggers each cube to light and make sound sequentially - "reading," in a way, the musical layout, as created and constantly changed by the public's interaction. 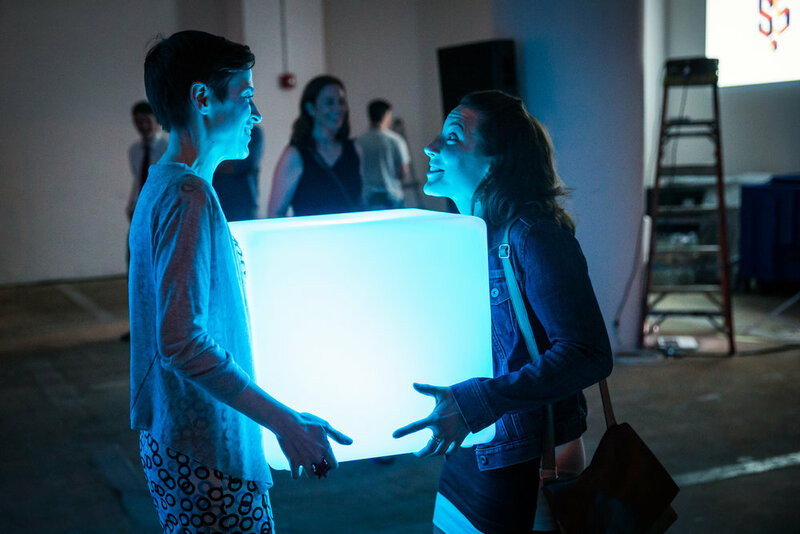 This allows participants to create not only physical structures, but musical compositions created and manipulated by the physical relationship of the cubes. It is like walking onto the staff paper, picking up the notes and moving them around, thereby changing pitch, rhythm, melody and harmony. Thanks to NEFA, The Boston Foundation and our generous donors for the support, funding and encouragement to create this work.